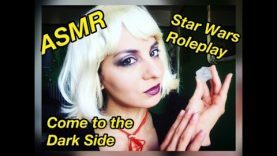 ASMR✨Journey With Princess Leia (Role Play) May The 4th!✨Happy Star Wars Day! ASMR Unboxing Star wars Rey wacky wobbler Funkopop! Want a commissioned personal video?